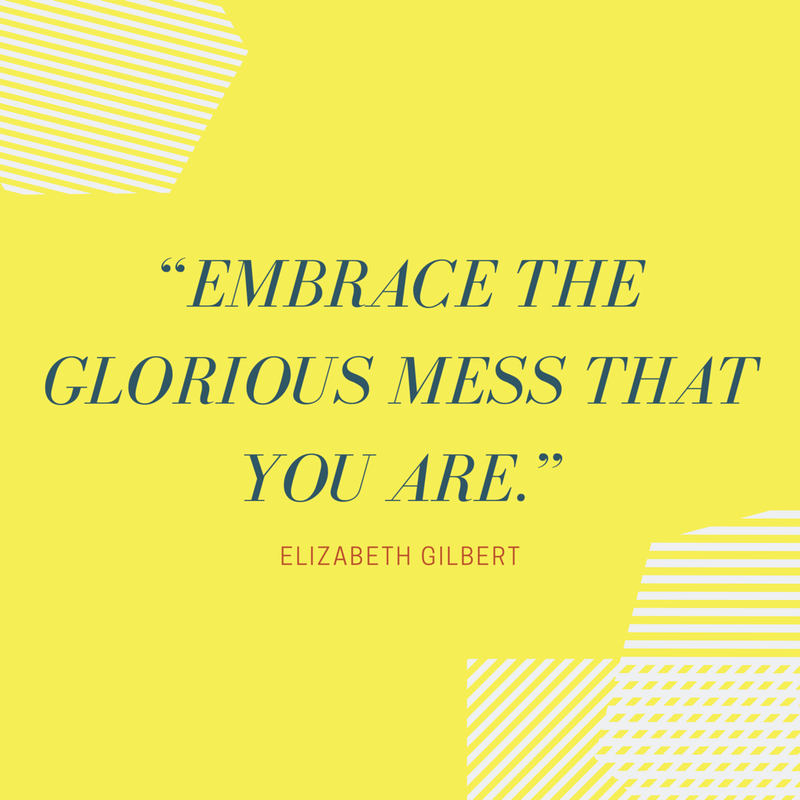 Embrace (and use) the Glorious Mess That You Are! I like to think that I have it all together all of the time. I know exactly what I am doing in school, in the future, and that I have everything planned out. The reality is that I honestly have no clue what I am doing 99% of the time (oops). 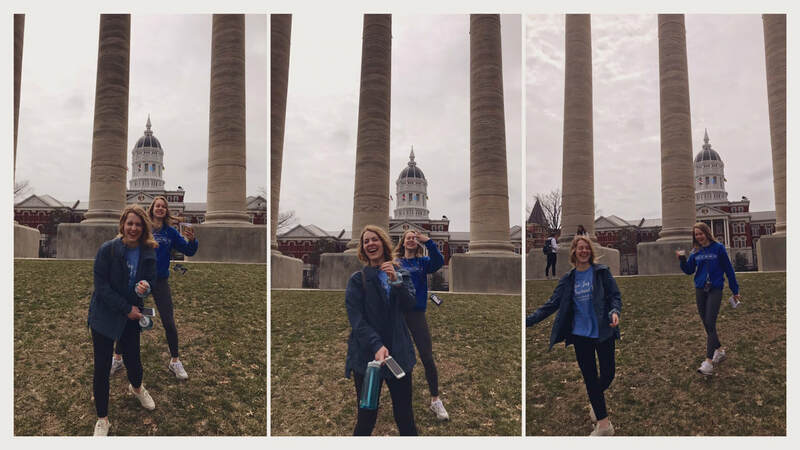 If you know me, you know that I can be all over the place a LOT. I am not really the greatest with words, and sometimes I say the wrong things. The truth is that I don’t always have myself put together. Because of this, it often leads me to wonder what my purpose is. Unfortunately, I get stuck in a mindset that isn't necessarily good for me. I think that because I am not put together and looking or acting a certain way all of the time, that means that I can’t do something productive or meaningful with myself. It can be extremely easy for me start thinking that because I make things messy, that means I can't make use of them. Because I am messy, it makes me unable to reach people and make a difference. Ultimately, I know none of these thoughts are true. It has taken me awhile to accept that I don’t always have to be put together, and no one else is 100% "with it" either. I am definitely still a work in progress and will be for a very long time. I have realized it’s okay to be a hot mess some of the time! I can find a way to relate and connect with other people through the parts of myself that aren’t perfect or composed. My messes make me the unique individual that I am today. 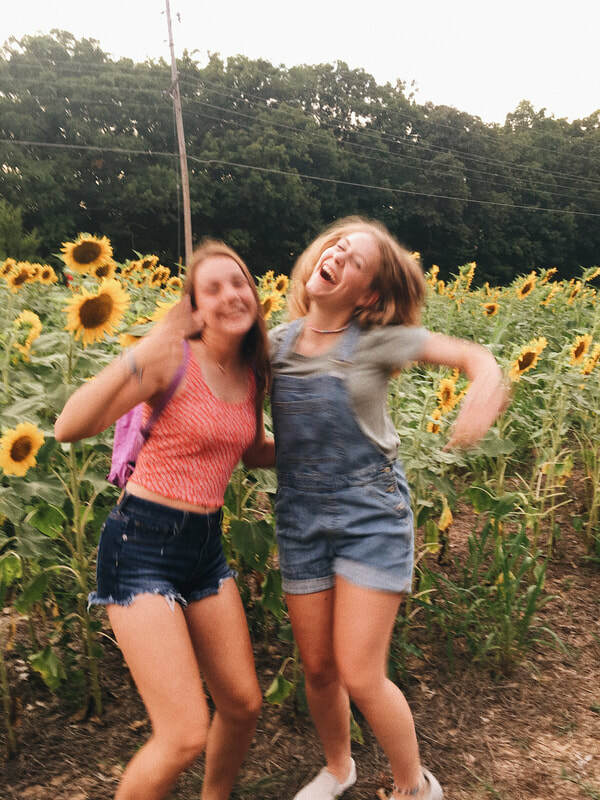 I don’t have to know what to say every time, and it’s okay when I laugh a little too loud, make a weird joke, or awkwardly dance while life goes on around me. Focusing on making other people feel happy, heard, and welcome is my purpose in life, at least for now. I find a deep sense of purpose when building relationships with others, whether that be just in a quick conversation between class, an interview for a story, or physically sitting down and opening up with others on a personal level. The messiness that makes up me is just a part of who I am. I hope that everyone can utilize some of their own messy parts to find a purpose for themselves like I have. Woohoo Netflix! I love this TV streaming service! Does it sometimes get very much in the way of things I need to get done? Yes. Will I still continue using the service? Yes. One reason why I enjoy Netflix is the fact that besides the shows available to watch that are from other broadcasting companies, they have an entire collection of shows, movies, or documentaries that are only available exclusively on Netflix, called Netflix Originals. These are my favorites because there is such a variety of things to watch that are all produced very well. Here are some of my favorite Netflix Originals that you should definitely watch! This is a documentary set in the ICU of a hospital that follows different families facing one of the hardest decisions imaginable, which is deciding whether or not to take a loved one off of life support. 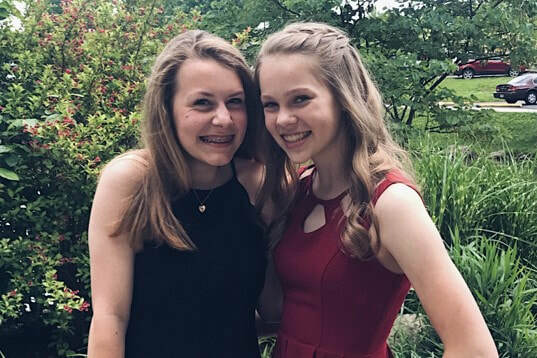 The documentary is only about 20 minutes long, but within that short amount of time, as a viewer you quickly begin to understand the magnitude of the decision at hand for these families, as well as the doctors who face this every day. The documentary is put together so well. You begin to put yourself in the shoes of the patients, family members, and medical staff in this ICU and question what you would do in these difficult situations. While it is definitely a hard and heavy topic to focus on and watch, it is beautifully portrayed and shown very well. I love the true crime documentaries on Netflix. This is one of the most recent ones that I have watched, and I finished it in a weekend. This documentary series is based upon two murder cases and trials that happened in Ada, Oklahoma in the 1980s. It's also based on a true book that John Grisham wrote about the cases. The series introduces you to the defendants in the trials, and you don’t really know whether to kind of root for them or not. As the show goes on, you are shown the injustices and corruption that went on in these men’s trials. It also explores what is now being done by the town to continually cover things up, as well as the lawyers involved and the men in prison's thoughts on getting their convictions overturned. So sorry, but another true crime series! Each episode follows a man who is on death row. We learn about the man’s childhood, crime, trial, and their current (or previous) life on death row. The men were interviewed very well, and it gives viewers a chance to hear a new perspective. While these men may not be the most reliable of narrators, as a viewer you can tell that there is sense of rawness and authenticity in this series that makes you want to continue watching. Hopefully you can enjoy one of these shows. Ultimately, there are so many options out there on Netflix, it'd be hard not to find something you'd enjoy. During the recent midterm elections, an inspiring story to me was that of Alexandria Ocasio-Cortez. She is the youngest woman to be elected into Congress ever! She is also only 29, which is not that much older than me. Despite whatever political beliefs you may have, I think that it is awesome she is so young and standing for what she personally believes in despite what older people, or older politicians, might think. Sometimes I push off the fact that I can make a difference now. I can get caught up in thinking that I need to be older with a career and a degree to make a difference in peoples' lives. I often tell myself that I have to be a little more grown up and a little more put together. The reality is this: even though I am only a teenager, what I do now matters and affects those around me. Right now, just to be loving, and kind to everyone that I meet has an impact on others. Even though that may be hard sometimes, I know that right now, if I show love and compassion, I can make the world a better place slowly, but surely. It may not always be the easiest thing to do, but hopefully words of encouragement, a smile, or kind comment can help someone do the same for someone else. It could indeed start a ripple effect. As for the future, I have a lot of different career interests that I may want to pursue. I love communications and news. I love law. I love helping people. I love writing. I love putting things together and sharing them with the people around me. For now, a lot of the activities I am in allow me to explore those paths to help me decide which road I want to take in life. Regardless of what I do in the future, I know that right now, showing kindness and being a friend to those around me is a great way to start making an impact on anyone around me. How can you make an impact today? Think about it. I know I do! 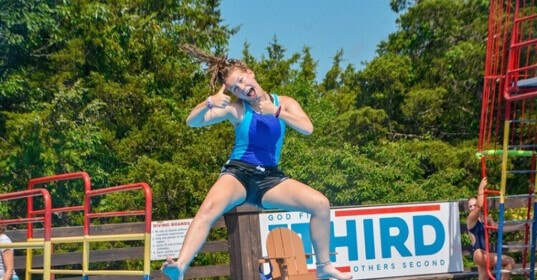 I like to think that I am an outgoing person. I view myself as an extrovert who is adventurous and LOVES trying new things. Even though I like to think this, it's not always the truth. Last summer, my parents decided that my sister and I would show our pigs in the Washington Fair. My mom’s side of the family has raised show animals all of their lives. My mom and her siblings have won Grand Champion steers and show pigs at many national and state level shows. 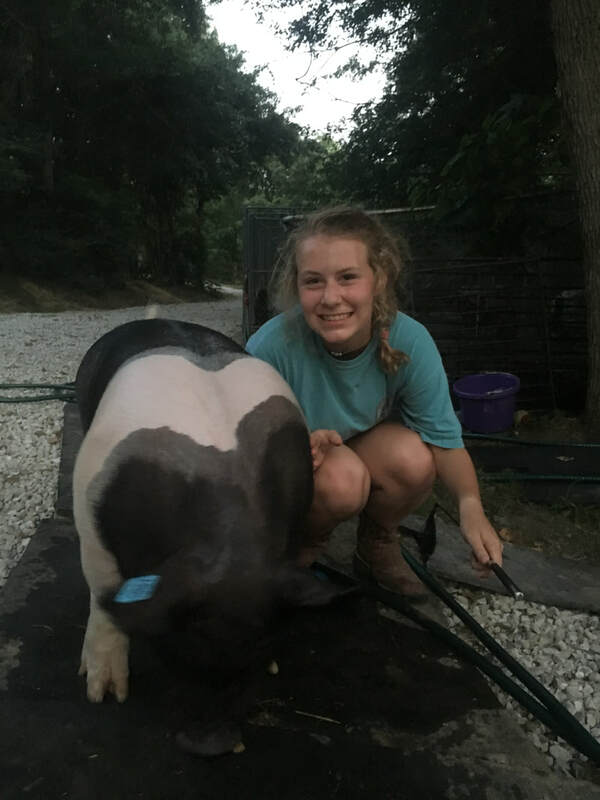 My sister loved the idea and was thrilled by the thought of raising an animal for show. I, on the other hand, was not. I was absolutely mortified at the thought of showing a pig. I remember thinking that everyone would think differently of me because I was doing that, which is literally the CRAZIEST thought ever! I have no idea why I thought that. I just knew that I didn’t want to be thought of as a “farmer” or a “hick”. As the summer went on, I slowly began to enjoy spending time with my pig, (whose name was M&M) every day. My sister and I had to walk our pigs every day for about 30 minutes, sun tan them, wash them, and measure out all of their feed. We have a TON of videos of us walking them around, and we probably spent about 3 hours with our animals every day. It was a ton of work, and I still wasn’t totally gung-ho on showing my pig. I remember when we finally made it to the fair and it was kind of crazy. There were SO many kids that had animals and were showing! As I walked in, I realized that I wasn’t doing this for anyone else, but doing it to showcase all of my hard work that I had put in during the summer and that I shouldn’t be self-conscious or nervous about something that I actually enjoyed and had put a lot of time towards. 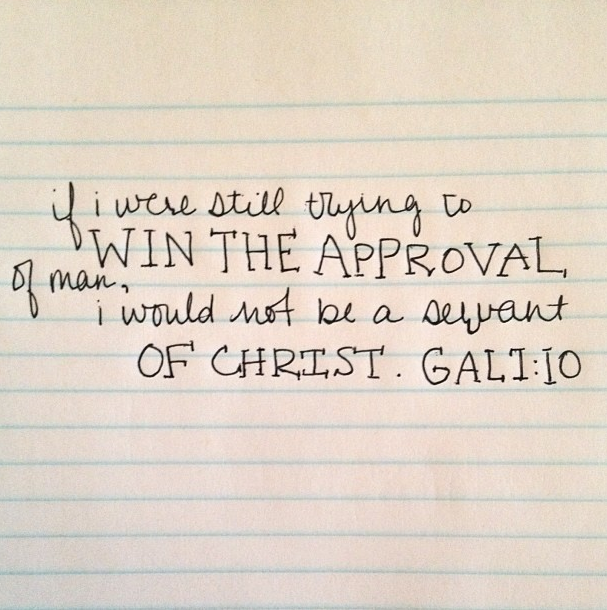 That verse is one that I think about probably every day and directly correlates to last summer. I was feeling nervous and trying to please people rather than doing what actually matters, and giving praise to Christ. Even though now looking back I laugh at my feelings and think they were silly, a year ago they were genuine fears that I had! I am so glad God pushed me out of my comfort zone and led me to try something new, which is now a huge part of my life and something that I love doing. 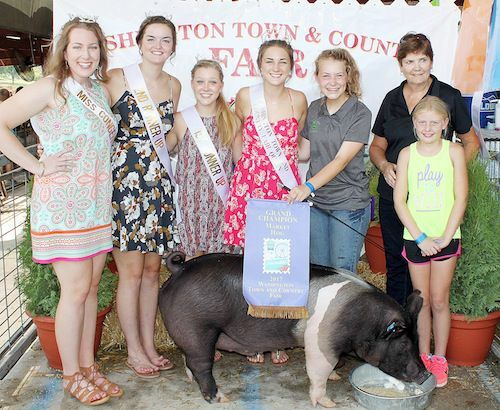 Rewind back to last summer, I showed in the Washington Fair and received Grand Champion Market Hog, which was an amazing experience! I also broke the fair record for the most money paid for a pig per pound. 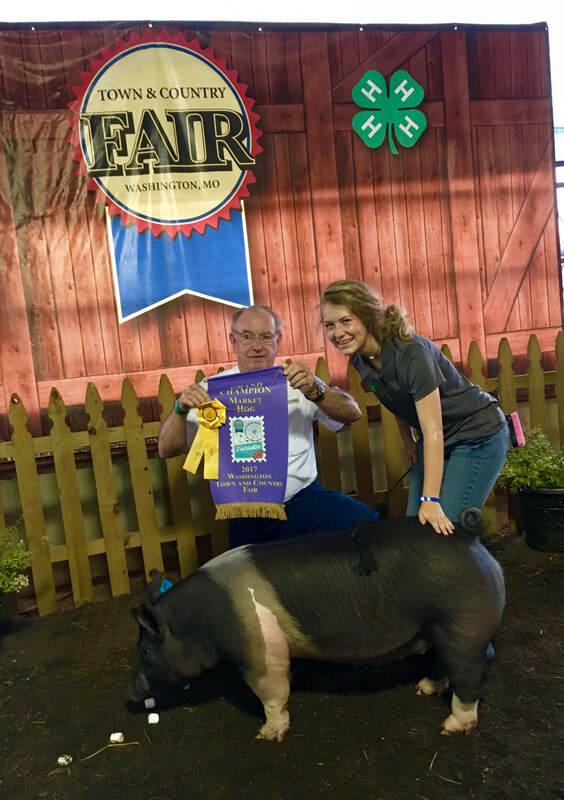 This summer, my sister won Reserve Champion Market Hog with her pig named “Wonky”, and we both won the Junior and Intermediate Showmanship classes, which was rewarded with belt buckles. 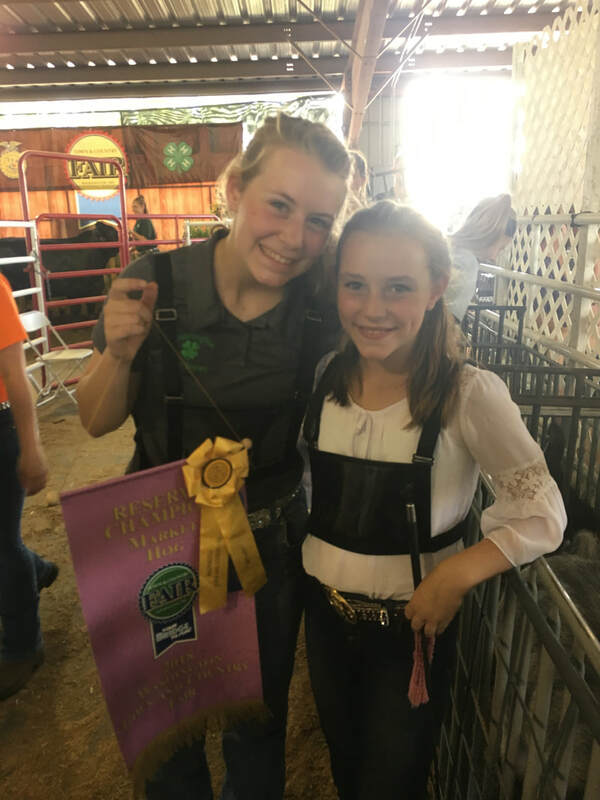 We both got to show at the Missouri State Fair, and my sister won 2nd in showmanship there, and I received 3rd place in my class and was a member of the Gold Group showing class. 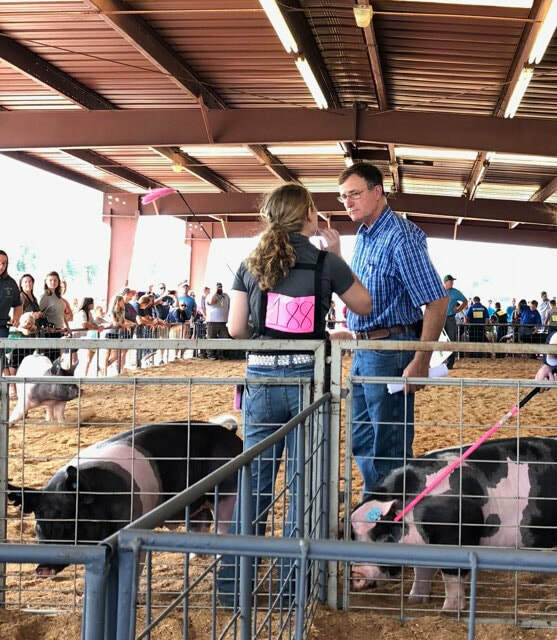 I am so glad that my parents pushed me to step outside of my comfort zone in order to have so many cool experiences showing our pigs! It is now a super-special activity that I do and I love it! It’s no secret, summer is ending and school is getting ready to start. With that new start, there are a lot of hopes and fears that everyone has. One fear that I know that a lot of people have (including myself), is the fear of rejection that comes along with the social aspect of school. Whether that is not making a team, losing friends, or the end of a relationship, no one likes that feeling of being rejected or not fitting in. I also think that in high school, many people find their identity via sports, a certain friend group, a relationship, or a club. That isn't necessarily what I want to be known for. I don’t really want to be known or have my identity be found in one specific thing, but by doing multiple things, and by being myself. I do hope that this year I grow closer with my already amazing friend group. In this past year, we have all become such a tightly nit group. However, I am definitely not be opposed to making more new friends, because isn’t that what life is all about? I love meeting new people, and I think that this year I will have many opportunities to do that! This next year, I will also be taking a couple of tougher classes, which I am a little bit fearful for. 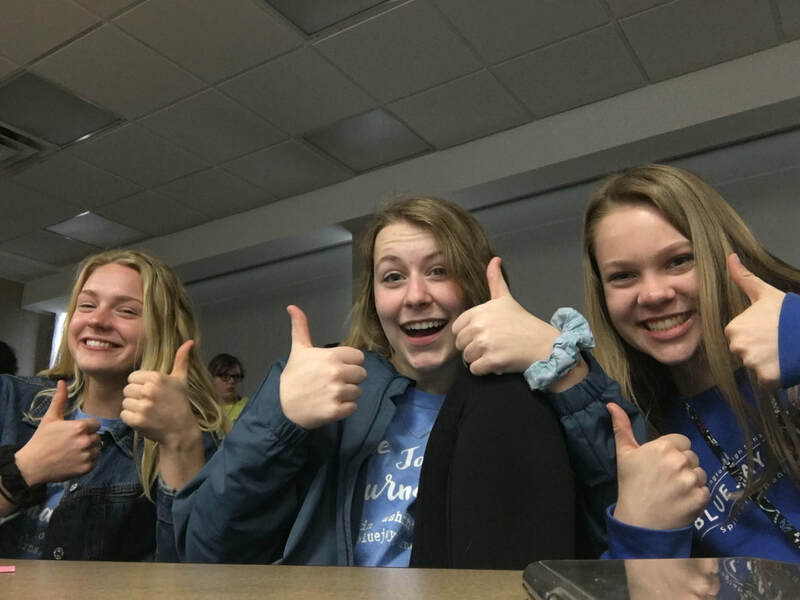 However, I think that after having one year of high school under my belt, I can use my time management skills from last year and apply those to those tougher courses. I am excited about the classes that I am taking and hope that I get the most out of everything that I take! Even though school is about to be underway and I am definitely not ready for waking up at 6:00am, I am so excited for this new school year. Even though there are some fears, I know they will be overshadowed by the awesome things to come! Thank you so much for helping me grow as a writer, reader, and person. Your class challenged me in new ways and helped me become comfortable at Washington High School. Every single day a different life lesson was brought up, or a new piece of advice was given that I would take in and think about throughout the day. Reflecting back on my first year of high school, I realized that your class probably had the largest impact on how my year went. You consistently said to get involved, try new things, and know that every single choice that you make impacts not just yourself, but many other people. That last piece of advice was directly brought up by reading the book Whirligig. 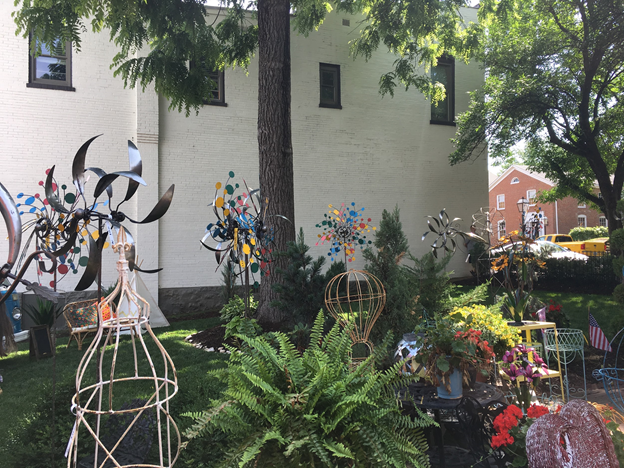 I recently went to Saint Charles and passed a store with many whirligigs covering the front yard. 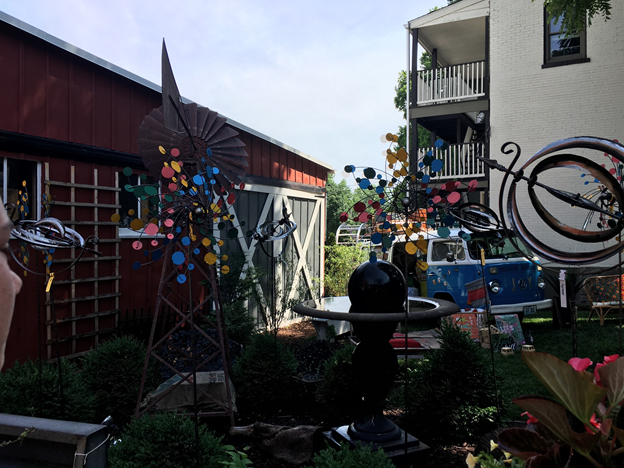 I immediately thought of reading that book in your class and the effect that it had on me, You taught me that every person, thing, and action is a "whirligig" in a sense. You also assigned our class to build our own whirligig. Not going to lie, at first it sounded like the most insane assignment ever! However, the more my dad and I thought about it, it wasn't that bad and actually became a fun memory between the two of us that you helped create! Thank you for being a woman of God that I can look up to. You always have open arms towards your students and seem to find the good in all of them, which I admire. I know that 14 and 15 year old kids are definitely not the easiest to teach, especially a sleepy, tired class like 1st hour! Still, you never failed to make the class upbeat and energetic with costume parties, dances, and many, many games and jokes. I think that the largest impact that you have had on me was that you pushed me to join a journalism class. I don't know if I would have had the confidence in my writing and storytelling abilities if it weren't for you. You always told my class to get involved in high school, which I also think had an impact on my decision. Thank you for pushing me as a writer and never failing to give me advice and assurance when I was not positive on a piece of writing or a idea. Overall, you made my year memorable and enjoyable, and I know that I will not forget any of the memories made anytime soon! Sophomore. First name is Hannah. Pet pig owner 5 months out of the year.